Discount Magic - Anneman's Mental Magic. 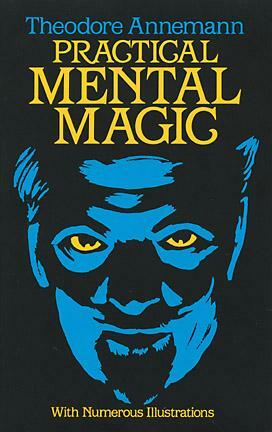 Outstanding collection of nearly 200 crowd-pleasing mental magic feats (requiring no special equipment). The author offers insider's tips and expert advice on techniques, presentation, diversions, patter, staging and all else needed to make any trick a foolproof success. Lucidly written, thoroughly diagrammed book by one of magic?s legendary figures.